Pete's Scribblings: The Beatles: the Beatles ARE The Camp Family. Record Review. 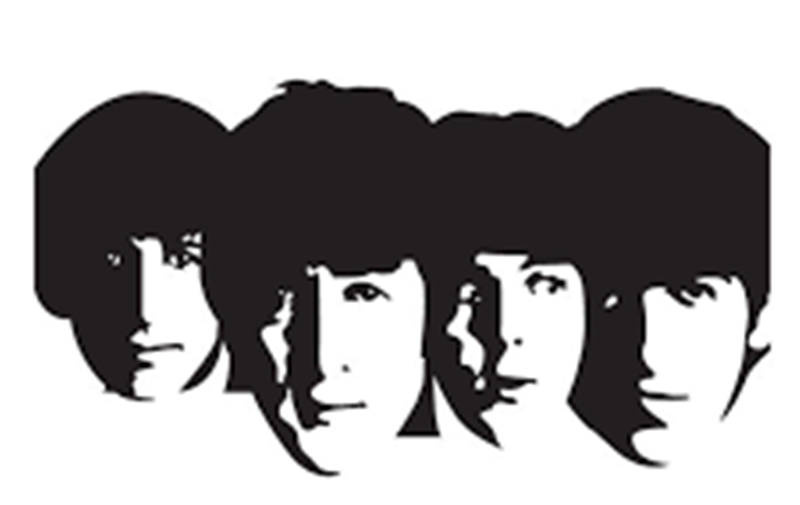 The Beatles: the Beatles ARE The Camp Family. Record Review. PUTTING THE WESTERN BACK INTO THE COUNTRY. Old Beatles Joke: In 1973, Ringo enjoyed several hit records. In 1974 he bought some more and enjoyed those too. But in 1975….one of the most popular groups in the world, The Beatles, attempted to bury their differences and reunited for one last time together in those famous studios at Abbey Road to record their final legacy to the world. It’s easy to be cutting in retrospect but it’s fair to say that it wasn’t the most inspired idea they’d ever had. This LP became about as popular as mozerella left for several days on the back seat of a Skoda in the Sahara desert. Unsurprisingly it was Paul who was most enthusiastic about the new album. Temporarily disbanding his ‘supergroup’ Wings for a long weekend, in order to spend some quality time with boy friend John, it was he who suggested a camping trip to the Blue Ridged Mountains of Virginia inspired by his enjoyment of some episodes of ‘The Virginian’ he’d watched with his long term spouse, Linda, in between recording sessions for the ‘Venus and Mars’ long player. By now both men were thoroughly stimulated and determined to reunite the greatest band ever to come from Woolton. Summoning George and Ringo by rubbing their magic lamps, in a puff, all four decamped from England only to set up camp in the vicinity of the aforementioned mountains at a place called ‘Wrigley’s Pleasure Planet’ with only the hard earth for a bed and the light of flickering candles to compose by. Paul instantly conjured up an exciting title for their new Magnus Opus: ‘The Virginian’. However, John – somewhat reasonably – suggested that this title had already been used and proffered ‘Marlboro County - Where the Flavour Is.’ It was an inauspicious start. Things looked grim, but ever the peace maker, George quickly stepped up to the plate. ‘Gee guys,’ he proffered, ‘like, we’re a family and we’re camping. How about ‘The Camp Family’? It was a very tense moment. Paul and John, it’s reported, glowered at the embers. But suddenly their faces cracked into cheeky Liverpudlian grins and George knew that disaster had been averted. 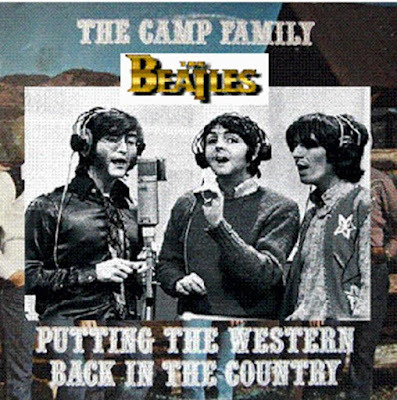 The Beatles were ‘The Camp Family’. They set to creating tunes straight away. John and Paul knew they were up against it. The first two tunes ‘No Ketchup on my Beans Blues’ and ‘Mouse Ain’t Coming Home’ were complete non starters musically speaking. But by an astounding stroke of luck, in the very next tent to theirs, was none other than Dolly Parton, Tammy Wynette and Willy Nelson. The rest, as they say, is history. If you want to know any more, look it up on Wikipedia for Christ’s sake. Released on the budget K Tel record label, ‘The Beatles are The Camp Family’ bombed, selling less well than the Buttoneer and Brushomatic. It was propping up the bargain bins next to the pick n mix in Woolworths just in time for Christmas. Ironically it is now as rare as Woolworths, Buttoneers and Brushomatics. If you see one, post it to me, will you? Thanks.